This position is accountable for the accuracy and management of the flow of projects and orders. The PC is responsible for clean accurate sales orders, timely processing of orders, ensuring compliance with policies for order acceptance and purchase order placement. The PC is responsible to keep accurate files for all orders, which include all documentation from the client, vendors and other team members. Also, assisting other PCs with workload and backup while other out. Verify all pricing as entering orders, matching the CAP Spec provided by the Designer, or the Quote Write Up provided by the Account Manager or Project Manager. Prior to placing an order, confirm all paperwork has been completed and documented – customer sign off on order, drawing. All items save on box per Company templates. Verify customer deposit has been received by accounting or waived by manager. Process purchase orders – verify accuracy of PO’s for dollar amount, ship address, and finishes. Update the status report. Send all Knoll, Kimball, National and Global PO’s electronically using our internal processes. Email all others. Follow up on manufacture receipt within 24 hours. Core business system. Verify accuracy of the acknowledgement – pricing, model numbers, description and finishes. Interface with the client to schedule small deliveries with the warehouse. Familiarity of our vendor’s websites – Knoll Exchange, KOF Partner, Global and National On Line. Prepare project summaries within 1 week of project completion, provide to Sales Staff for approval. Assist with workload for other project coordinators. The Sr. Project Coordinator reports to the Lead PC. There are no positions reporting to this position. Three to Five years of internal and external customer service experience and experience in purchasing and order management is required. Ability to multi – task and high level of empathy for the customer is required. Experience in purchasing software/order management processing software, proficient in Excel, Word and other MS Office programs. Proficiency of Adobe Acrobat is also required. Proficient in Internet use is required, ie: accessing web sites, managing the internal Project Center website, downloading programs and documents, uploading programs and documents. 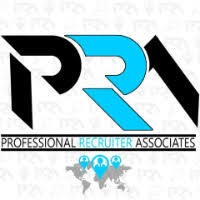 For immediate consideration, please forward a copy of your current resume to info@profrecruiters.com referencing job #1780 or a link to this job.